Datsun Go and Go+ MPV safety concerns - are they justified? Safety concerns: Just how safe are the Datsun Go and Datsun Go Plus? The Datsun Go Plus is almost identical to the Go, except that it is about 210 mm longer, giving it additional luggage space and two extra seats as well. The build quality and components are exactly the same. Is the Datsun Go more unsafe compared to others? So does that mean the Datsun Go and Datsun Go Plus are really unsafe? That’s where there are differing perspectives. If you go by what the crash test results show – sure, at 64 kmph, without airbags, the Datsun Go doesn’t make it. But unfortunately, Datsun got the short end of the stick. What most of the reports don’t tell you is that the Maruti Swift – the most popular premium hatchback also got a zero star safety rating in January. This was a Swift without airbags. The Volkswagen Polo too, scored poorly without airbags, but the one with airbags got a four-star safety rating, and that has prompted Volkswagen (and now even Toyota) to offer airbags as standard in all their cars. However, the addition of airbags would mean an increase of at least Rs. 30,000 in the price as well. Global NCAP says the Go won’t fare any better even with airbags, as it has structural issues – the bodyshell crumpled at 64 kmph. Few would remember that in January 2014, in a similar test, the Tata Nano, Hyundai i10 and Maruti Alto 800 also failed in a similar fashion – with structural issues. Only the Ford Figo and Volkswagen Polo were better off, even without airbags. How would it be safe? But the Datsun Go and Go Plus are safe – it’s just a matter of perspective (don’t miss the sarcasm). You would be safer in a Go or Go Plus than being a pedestrian and risk getting run over. You would be safer in a Go or Go Plus than riding a two-wheeler and risk getting knocked down. And you would be just as safe in a Datsun Go or Go Plus as you would be in a Hyundai i10, Maruti Alto or Tata Nano. Now, here’s where it gets interesting. Datsun’s response to the whole controversy is that the Go and the Go Plus meet Indian “safety” standards – and that’s pretty much the response of even Maruti to the Swift and Alto’s failures as well. 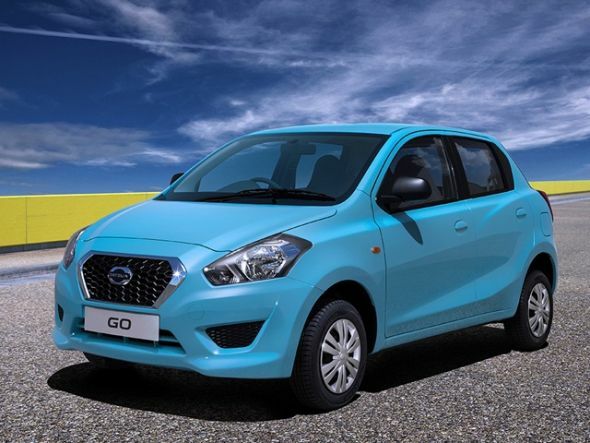 The Datsun Go and Go Plus are priced in such a way – that they provide plenty of real estate for the money. Look at the Go Plus and its honest to goodness proposition. The Go Plus is priced almost similar to a Maruti Wagon R – between Rs. 3.79 lakh and Rs. 4.61 lakh. And it offers more – more boot space, more passenger space, more legroom. You get a fuel efficient (20 kmpl mileage) 1.2 litre petrol engine, putting out decent power (68 PS) and torque (104 Nm) numbers for the price segment. The Go and Go Plus are not meant to appeal to the young upwardly mobile urban buyer – instead it’s aimed at middle class buyers looking for functionality over everything else. 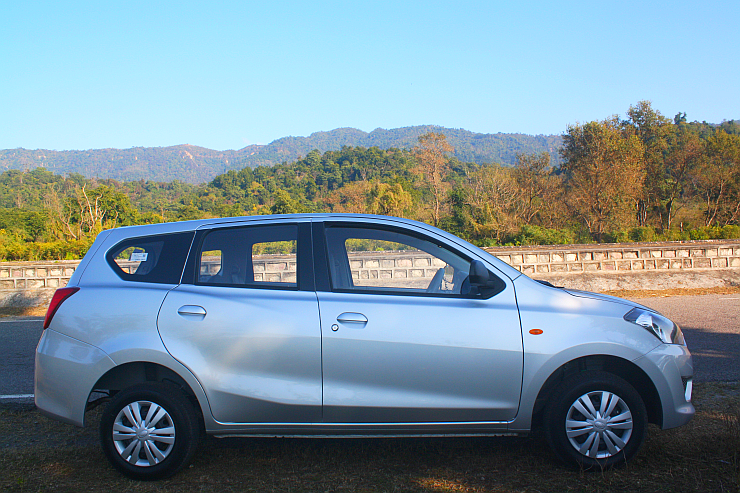 The Go Plus offers the flexibility of an MPV at the price of a regular hatchback – you would have to pay between Rs. 6 lakh to Rs. 10 lakh to get the same functionality from a Maruti Ertiga or a Honda Mobilio. It has very simple technology – which translates to much easier maintenance. In short, it’s meant to be a practical vehicle for the family – but one that should be wisely used within city limits (where speeds are not in excess of 50 kmph). For buyers looking for a large, spacious family vehicle for the city – the Go and Go Plus make sense. It’s a good thing the government has made it mandatory for crash tests in India from October 2017 onwards. That will make more carmakers fix the basic safety issues with these cars. However, the auto lobby is pressuring the government to reduce the speed at which crash tests take place in India (the automotive industry body wants it as low as 24 kmph!). The Datsun Go and Go Plus solve a basic mobility need for large families – and if they are primarily used within city limits – they are definitely a much safer mode of transport compared to two-wheelers or auto rickshaws, and perhaps even more comfortable and practical compared to smaller cars like the Alto and Nano. However, in the overall interest of automotive safety, we think the government should make crash tests (and get a fix on the speeds) mandatory as well as ask for airbags as standard fitment in all cars. Airbags and ABS – as the latter can help avoid accidents, while the former can prevent fatalities in the event of an accident. Datsun, for its part, will be offering an airbag as an option on the Go and Go Plus shortly.